If you’re in an innovative boarding school for young entrepreneurs, why can’t you pay your tuition with Bitcoin? That’s what the Draper University might have thought, since they recently announced (quite proudly, we might add) that they had processed their first tuition payment in Bitcoin using Coinbase. The school, located in California (USA) and known for its different vision and education methods, received its first Bitcoins as a payment for 2013 summer session, which starts in June 24. Besides money, the institution also accepts other forms of payment, such as bartering for services. If you read what the founder of the Draper University (and also founder and managing director at Draper Fisher Jurvetson) has to say, this decision is quite logical. “Some of the most forward-looking entrepreneurs are active Bitcoin traders. At Draper University of Heroes, we accept Bitcoin payment of tuition because it is a promising currency with appreciating value. For the time being, we still accept dollars, too”, said Tim Draper. 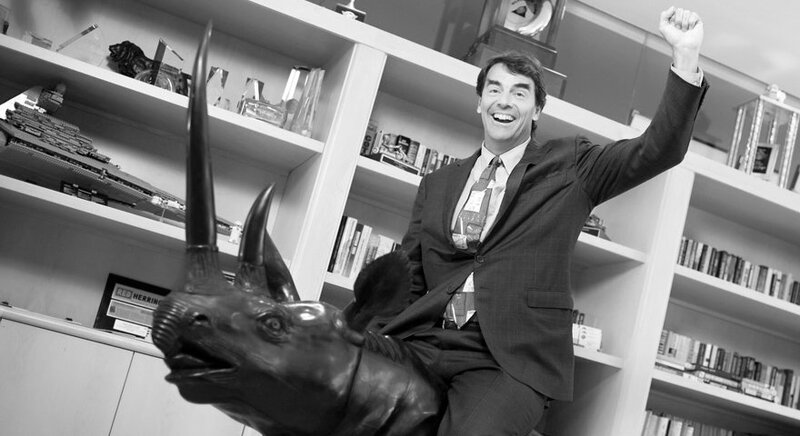 Tim Draper riding… a rhino. It’s the “put your money where your mouth is” kind of thought: if Draper University encourages innovative entrepreneurship, why won’t it accept an innovative form of currency? That would be wrong! Accepting Bitcoin is just another illustration of how Draper University is following the same innovative model it teaches. The university offers an innovative program designed to inspire and provide all the necessary tools to students who dream to build their own companies. Draper University offers four sessions a year, especially for young entrepreneurs between the ages of 18 to 26, who can now use Bitcoin to pay their tuition.